There was once a great empire in central Europe. 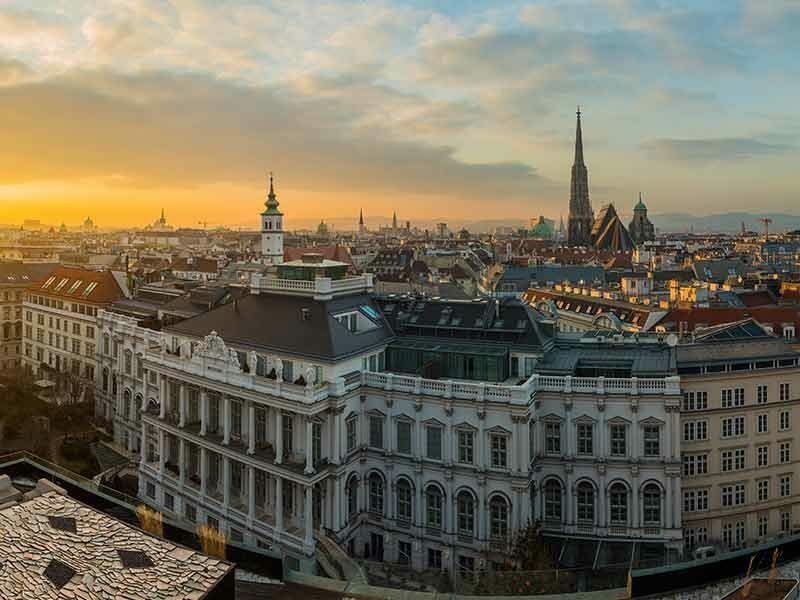 Centred on Vienna, a glittering jewel on the Danube, the empire encompassed the present day countries of Austria, Hungary, Romania, Slovakia, Serbia, Northern Italy and more. To those living outside its borders it was known as the Austro Hungarian empire. When World War One began, it entered the fray on the side of Germany, and when that terrible conflict ended in 1918, the Austro Hungarian empire was no more. One of the conditions of the Versailles peace treaty was that the empire be broken up and that the peoples living within it be given self determination. A centuries old empire disappeared. But it wasn’t the war that destroyed the empire. It had been doing well. It was prosperous and had a vital and world famous civic and cultural life. Some groups wanted independence, but few, if any, wanted the empire to fall. No… what killed the empire was something else: its lack of common identity. With more than ten languages, multiple internal borders, virtually independent cities and a welter of peoples with different ethnic backgrounds, it simply could not stand the internal strain. The only thing people had in common was the “human cement” of the emperor Franz Joseph. In the end, though, it wasn’t enough. When he died, and the Axis lost the war, the empire crumbled. What does this have to do with Canada? A great deal. We are living in extreme times. Although it may not be apparent to some, we are headed in the same direction as the Austro Hungarian empire. When a politician tell us that we have no “mainstream culture,” that we are the first “post national state,” that we ought not to identify ourselves by language or historical precedent, or even common identity, then we are in trouble and doubly so when the politician who makes these statements is our prime minister. Concern about this state of affairs has less to do with political alignment than awareness of the misguided policies aimed at eliminating our national identity. What are we to say about leaders who tell us that we must now be ashamed of our traditional history, take down statues of our founders and heroes, and “learn” not “just to tolerate, but to accept?” This is code for shaming us out of our common history and heritage. We Canadians are accepting, but there are limits. Nations are based on common beliefs and traditions, not mindless plurality. There must be more agreement than difference, and when this does not happen, nations fade. Unfortunately, we seem to be imitating Austria Hungary. Our government and the mainstream media stress our differences while denigrating our common traditions, and in the process reverse both history and common sense. Like our brethren in Europe, some areas of Canada are now in danger of becoming virtually autonomous cultural and linguistic zones that care little for being Canadian. After all, if Canada has no “mainstream culture,” why should they bother to conform to it? As frightening as this all seems, it should not cow us, but make us more resolved than ever to love Canada and defend her. What does the future hold? That is entirely up to us. I have little doubt that there will be even stronger attempts to limit free speech, impose political correctness and fractionalize the nation in the name of the sacred mantra of diversity. We may see attempts to add two or three new languages to the “official languages” list. Traditional Canadian history will continue to be de-emphasized. Even more bizarre laws will be put forward. But none of this can ultimately succeed if we are determined to defeat it and remain active. Politicians and parties come and go, but nations, determined to preserve themselves and honour their identity, endure and thrive. So let it be with Canada. There is a saying that “a people united can never be defeated.” That is true, but it takes a courageous step forward to defend Canada on both a personal and national level. Freedom Defence Canada exists, not just to secure and defend our freedoms, but to affirm Canadian identity as well. It is time for all of us to do so.